The power pack with enormous torque. 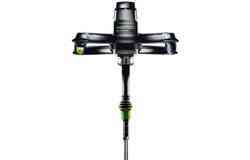 More powerful, easier to use, increased comfort and safer – the OF 2200 offers the greatest low-end torque, the highest precision and the greatest ergonomic comfort. 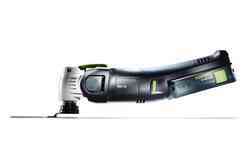 No matter what your task is – with the OF 2200, you have the solution in your hands. 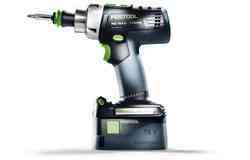 2200 watts for top power development and powerful low-speed torque for hard materials and large material thicknesses. 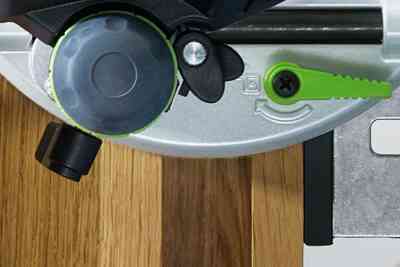 Simple guidance thanks to ergonomic handle and guide rods that can be moved by 30°. 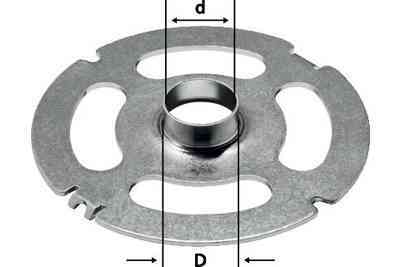 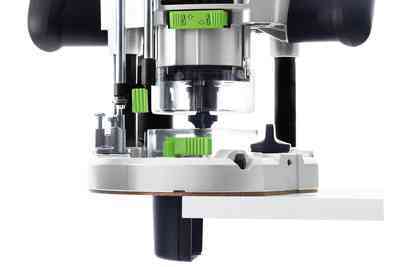 The integrated quick-acting brake minimises the risk of injury. 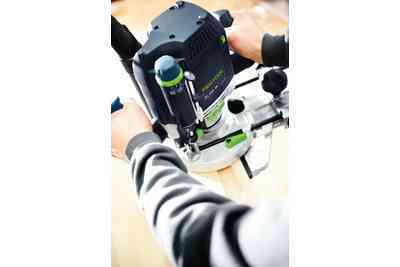 Can be expanded in a number of ways with a router system or template system. 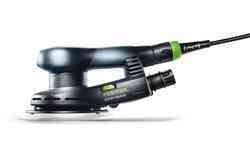 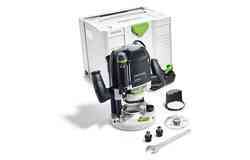 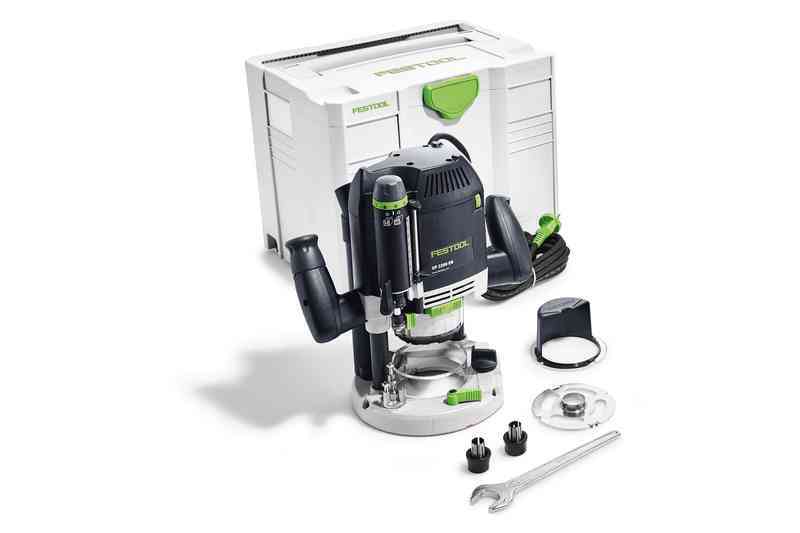 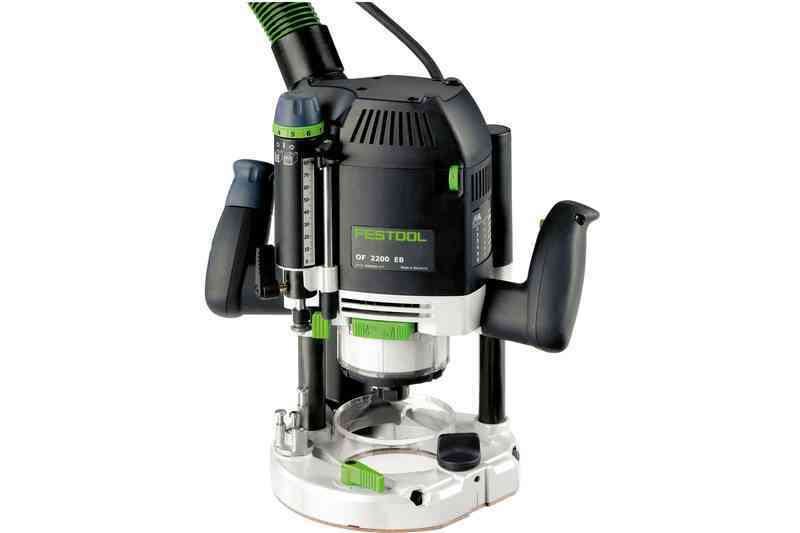 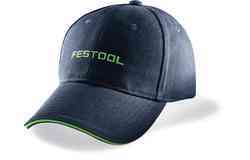 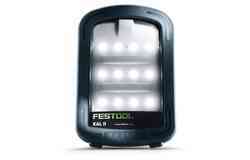 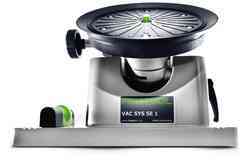 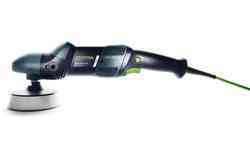 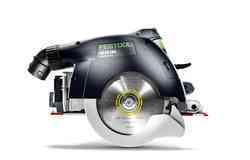 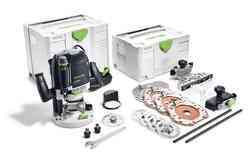 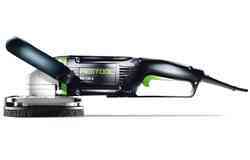 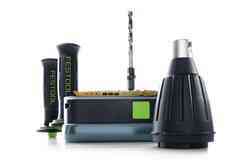 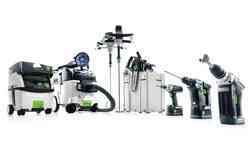 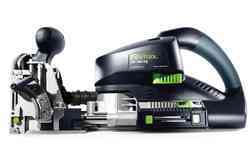 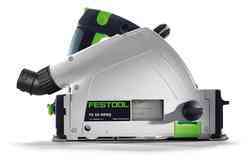 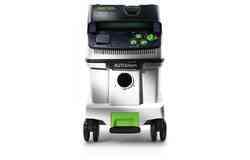 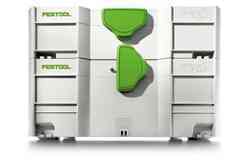 A cleaner, healthier working environment with Festool mobile dust extractors. 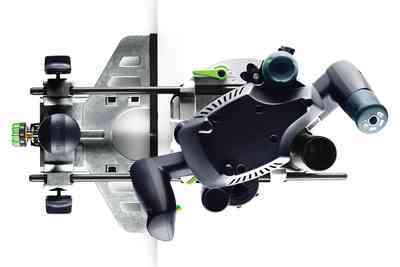 More powerful, easier to use, increased comfort and safer – the OF 2200 offers the greatest torque, the highest precision and a high level of ergonomic comfort due to features such as guide rods offset by 30° to transfer the force more efficiently, for example. 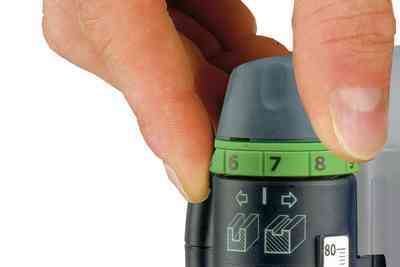 No matter what your application is, the OF 2200 is the perfect solution. 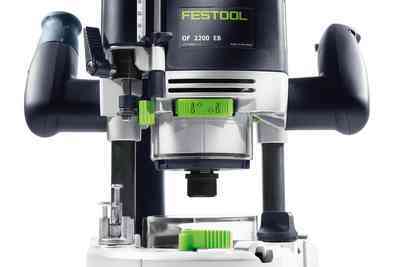 The new suction concept behind the OF 2200 ensures suction power of up to 99%. 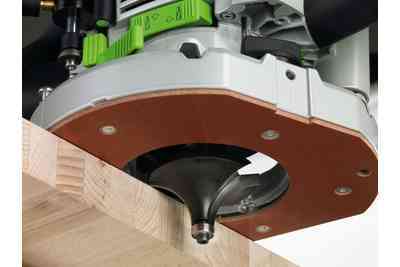 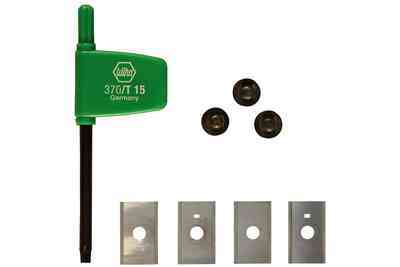 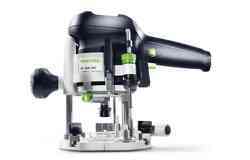 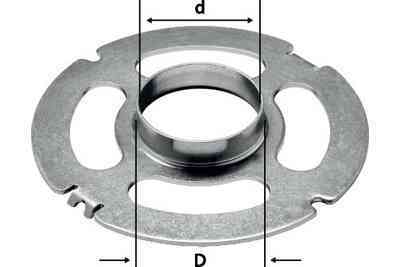 The retractable extraction ring seals off the chip space when the router is used for plunge-cutting. 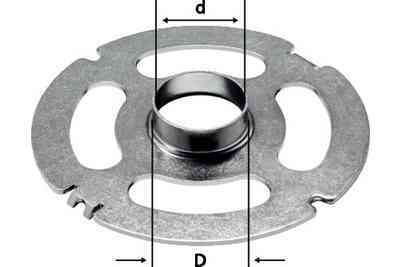 However, the ring can be locked in place on top for a perfect view of the scribe mark. 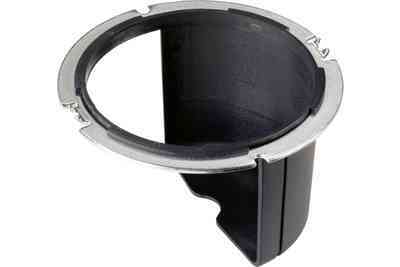 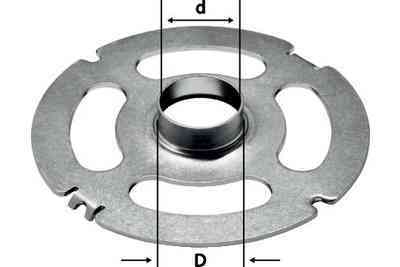 The chip deflector can be rotated 360° and ensures maximum suction power. 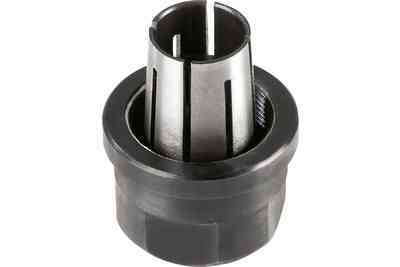 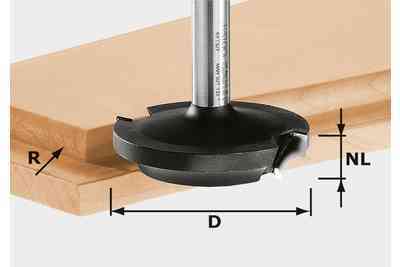 Base runners and copying rings on the OF 2200 can be replaced quickly using FastFix, without requiring tools. 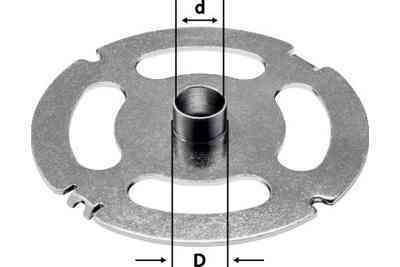 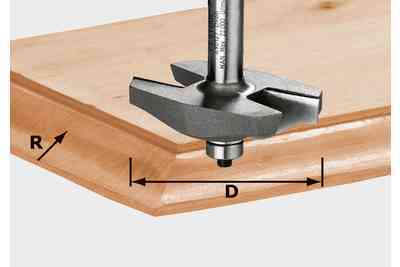 Changing routers is also a simple matter, thanks to the ratchet principle, which allows you to either tighten or release the router used without having to turn the open ended spanner. 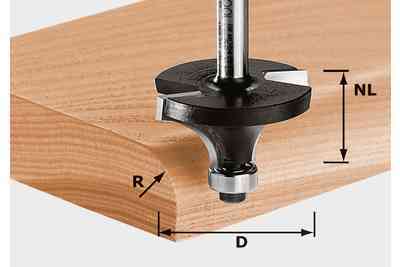 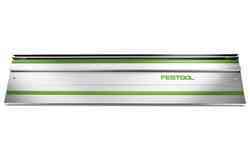 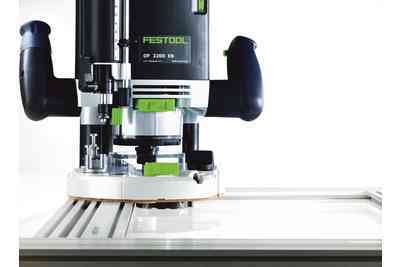 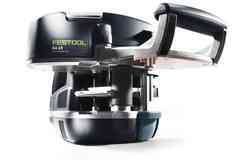 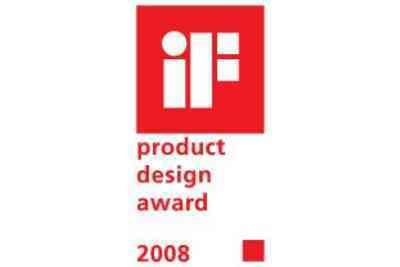 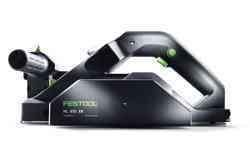 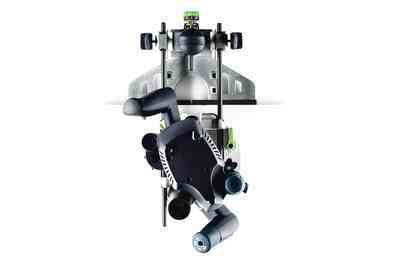 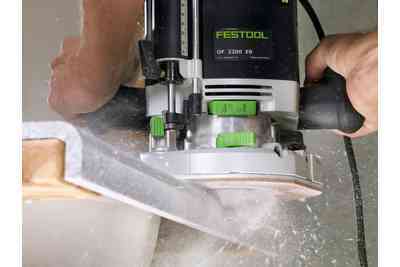 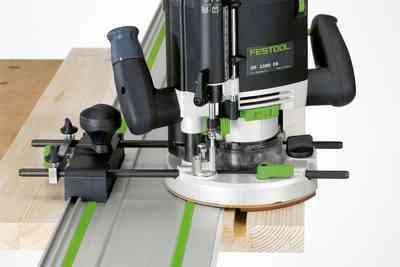 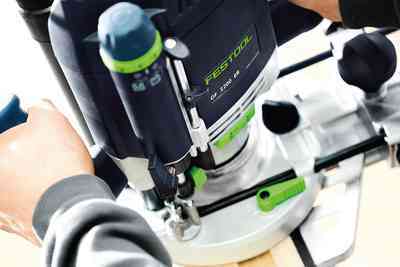 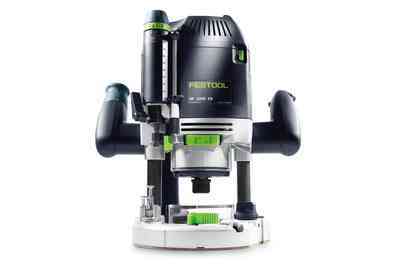 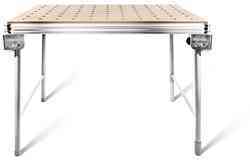 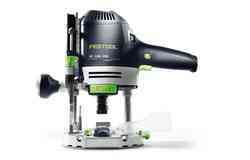 The guide rail was invented and perfected by Festool. 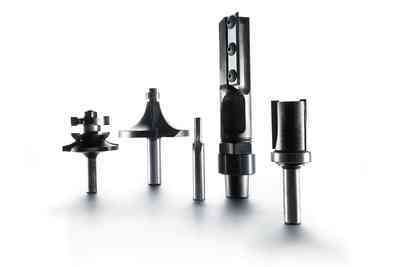 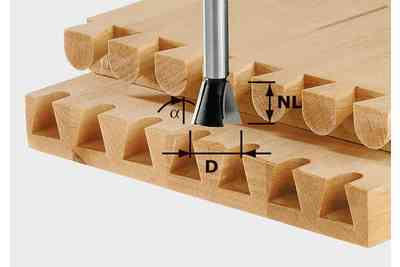 For enhanced precision of grooves and rows of holes. 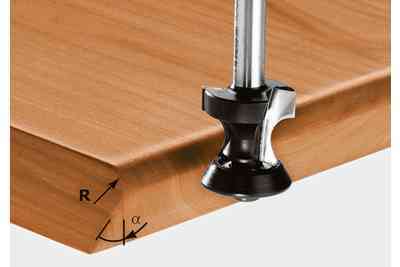 Fitted with slideway lining to allow machines to glide smoothly along the rail, plus a groove for fastening and lever clamps. 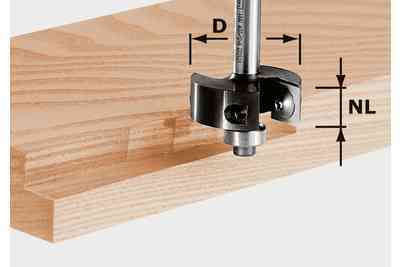 An ergonomic work position when working with the side and guide rail adapters is possible thanks to a guide rod support offset by 30°. 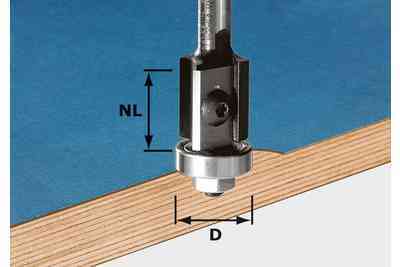 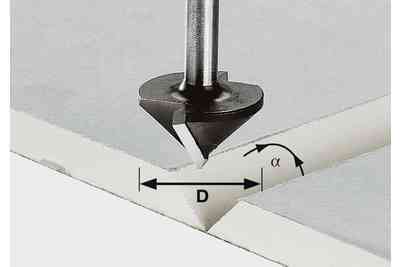 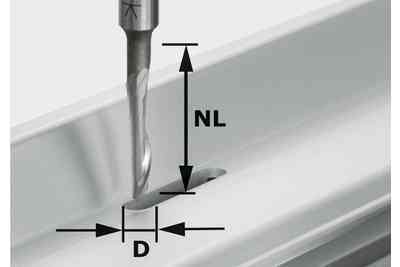 Routing depth accurate to 1/10 mm thanks to the clearance-free depth setting with zero function. 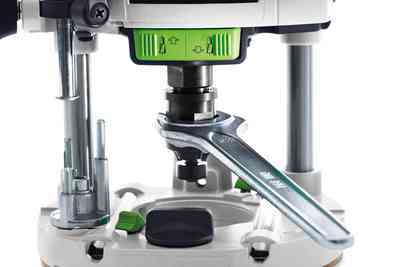 The soft-grip and drag indicator are arranged ergonomically. 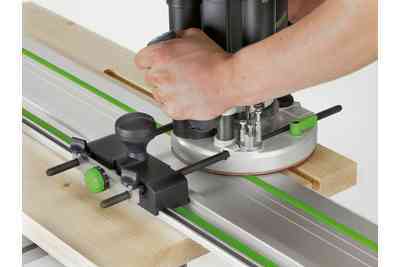 Once the routing height is set, the router can be clamped to both guide columns at the same time with only one clamping handle. 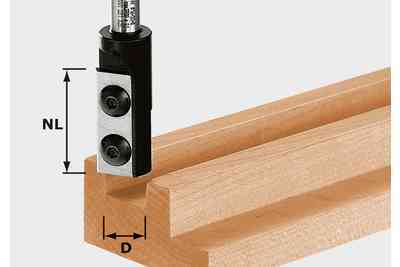 This dual-column clamping system guarantees accurate routing results.